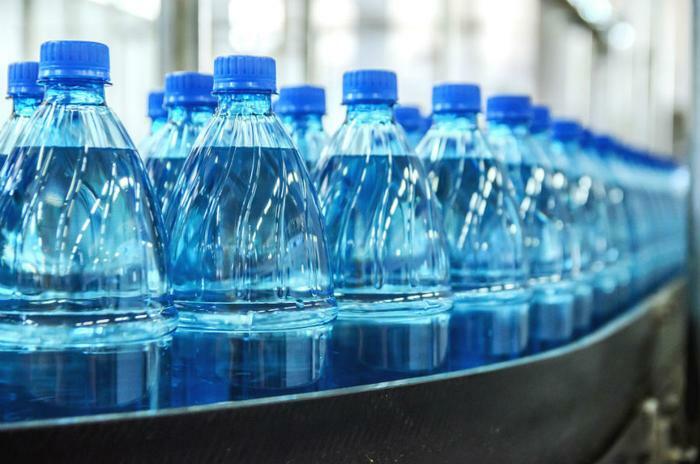 In a state with a history of water quality issues, locals are questioning why Nestle will soon be able to speed up its bottled water operations. The Michigan Department of Environmental Quality recently decided to grant a permit allowing Nestle to increase the amount of groundwater it pumps from a well in the Osceola Township. Nestle, which sells bottled water under its Ice Mountain brand, currently has 50 water bottling plants across the state and pumps an average of 250 gallons per minute from the well in Osceola. In its permitting application, Nestle had requested to collect water at an even faster rate -- 400 gallons per minute. The corporation, which makes billions from bottled water sales, only pays local officials $200 for permission to use their water, according to a Bloomberg News report published last year. Nestle has defended its presence in the state, where the town of Flint continues to suffer from lack of access to clean water, by pointing to the jobs its plants create. Nestle’s request to increase production sparked a massive backlash from locals, with over 80,000 people filing public comments to Michigan authorities urging them to reject the proposal; letters from nine tribal governments and eight citizens groups also urged action against the permit. By contrast, only 75 comments were submitted in support of Nestle’s request. Environmental groups blasted the state’s decision to side with the minority of people who submitted public comments, noting that Nestle pays limited costs for permission to use the water. “Michigan residents are putting up with unaffordable and sometimes unsafe drinking water, while Nestlé, which had sales of $7.4 billion from water alone in 2016, pumps Michigan groundwater basically for free,” the Upper Peninsula Environmental Coalition told a local news station. Michigan’s authorities had already suggested last month that they would side with Nestle, claiming that the concerns presented by residents, even if valid, did not take the law into account. “We don’t have the power to say no arbitrarily. We can’t just say no for reasons that aren’t attached to the law,” Matt Gamble, a Department of Environmental Quality supervisor for the state, told Michigan Public Radio last month. Officials for the township and the county have also tried to fight Nestle’s permit, but the company appealed and won a key ruling last year from a local judge. In a statement to the Detroit Free Press, the Michigan Department of Environmental Quality director Heidi Grether said that Nestle had a thorough application that complied with state laws. “The scope and detail of the department’s review of the Nestlé permit application represents the most extensive analysis of any water withdrawal in Michigan history,” she told the paper.